In the end the week saw a modest low volume gain for most risk assets as markets accumulated miniscule but steady gains over the course of the past week. Here are the primary market movers. Asia, EU, US all mixed, modestly up down on quiet day, as EU fears balance stimulus hopes on a quiet news day. Asia EU, mostly up on ECB, US flat/higher on same plus addition of poor China data, which feeds China easing hopes. Bullish: Hopes for new central bank stimulus from the ECB, PBoC, or Fed. Thus far stimulus programs have at best solved nothing except provide temporary relief and risk asset rallies, and at worst are making the likely ultimate wave of default far larger and more dangerous as governments and banks are loaded with more debt, more bad debt, and more debased currencies. Bearish: Poor China trade data, EU lack of progress which means next crisis edges closer with the EU no better prepared for it, exhaustion of short cover rally. See here for a full analysis of the lessons for the coming week from last week’s market movers, their ramifications, and what to do about them. Note: Should the central banks yield to pressures for more currency-debasing stimulus, then those with assets denominated in the most widely held currencies (USD, EUR, JPY, GBP) need to assets in a more diversified group of currencies more likely to hold their value. For simpler, safer ways to do that then generally found in currency or overseas investing advice, see here. 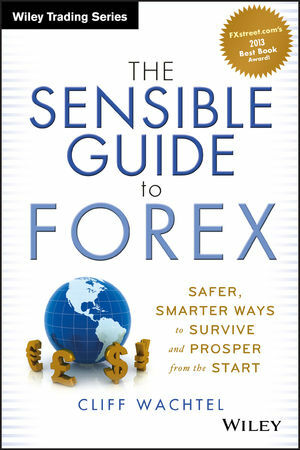 For those who buy the book, you’re eligible for a free, no obligation course based on the book from Caesartrade.com. This isn’t another superficial course set up just to tempt you to trade without the right preparation. This course is based on my 400+ page book, with its strong emphasis on simpler, more conservative strategies that put the odds on your side. See here for more information.